Albert Roussel; Alexander Borodin; Alphons Czibulka; American Traditional; Anton Rubinstein; Antonio Rosetti;... Fine. In fine packaging. 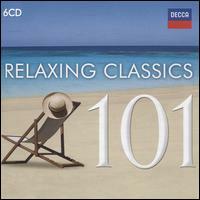 Various Artists-101 Relaxing Classics by Various Artists.